Have you tried making bites before? 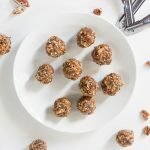 They are quick bite-sized snacks that are easy to make and are actually really healthy! 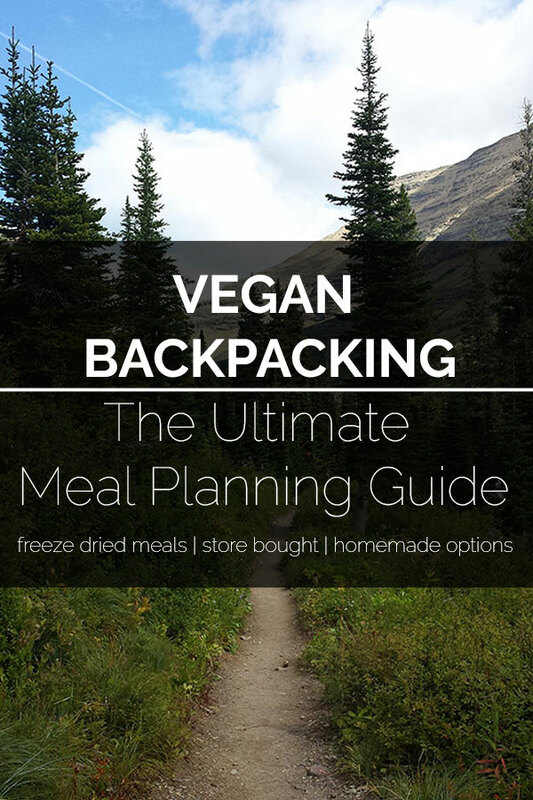 They only take a few minutes to make and don’t require any cooking. The best part is they’re made with whole foods and are practically a guilt-free indulgence. I’ve made several verities in that past, but these apple pie bites are my favorite. 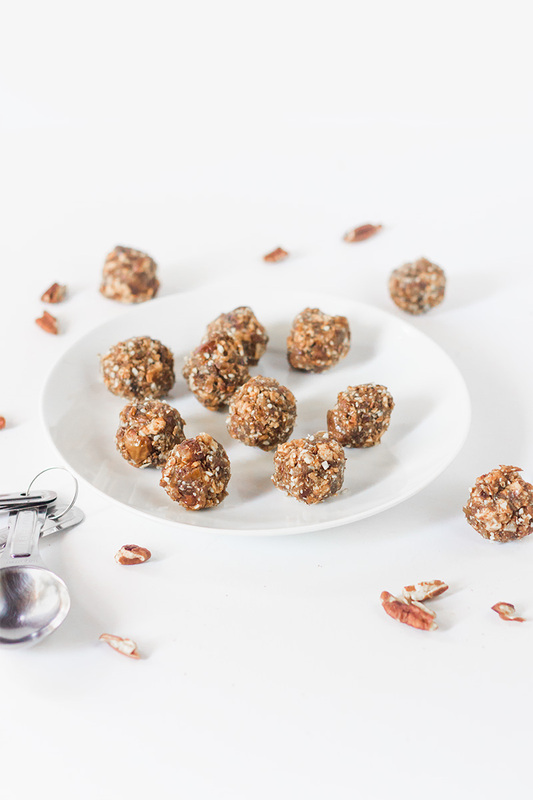 Packed full of apples, ginger, pecans, and pie spice these bites are made for fall! These little bites are a great treat to keep on hand since you can make a batch and then store them in the refrigerator for up to a week. They are also great to pack in school or work lunches or any other time you need a snack on the go. 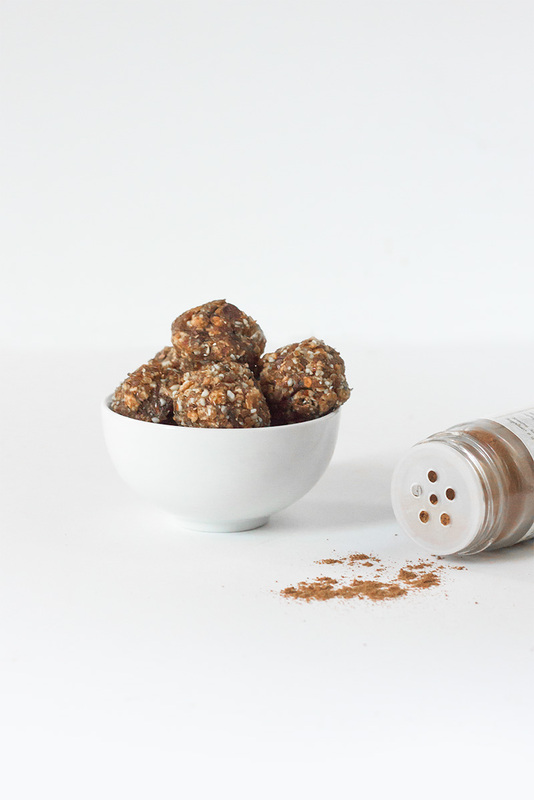 For more bite recipes check out Lemon Coconut Protein Bites and Turtle Bites. 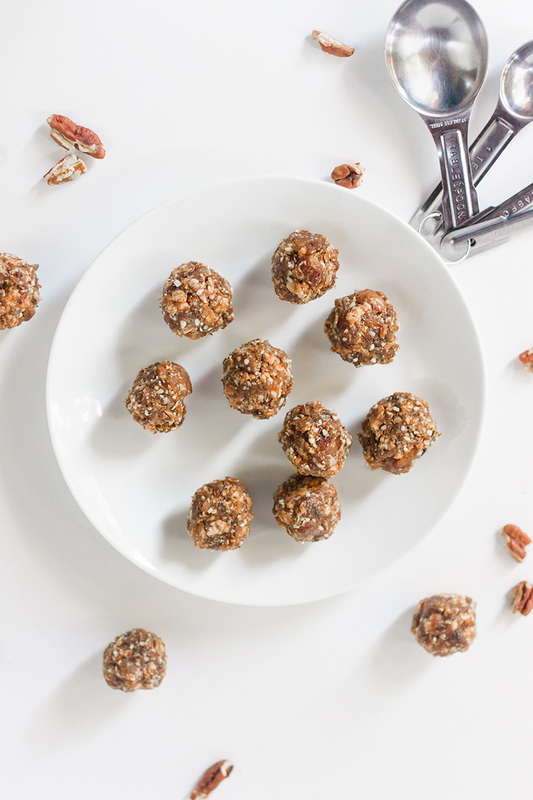 These apple pie bites are a quick, easy, and healthy snack packed full of fall flavors. Add all of the ingredients to a food processor and grind until everything is chopped into a fine gravel consistency. Take one Tbsp full of the mixture at a time a squeeze it in the palm of your hand until it sticks together. Rotate the mixture and squeeze again, repeat until it forms a ball. Refrigerate for 10 mins to let them set up.